London attracts over 31.4 million tourists every year, according to the Office for National Statistics so because of this some London hotels can be extortionate unless you book well in advance, don't visit on the weekend or stay far away from the city centre. My favourite hotel website to book with is booking.com because you can reserve a room but pay later, if you haven't got the money at the time. 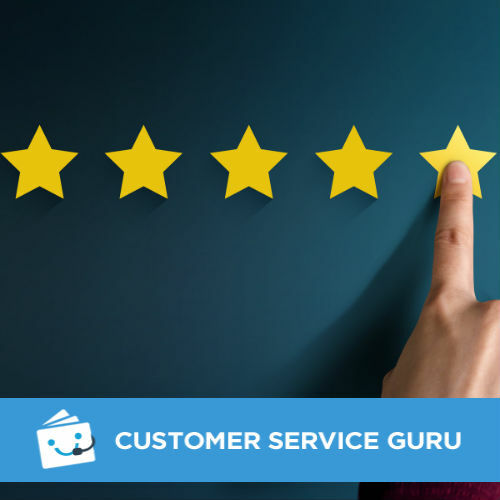 As I have booked with them on lots of occasions, I am now a genius member, this means I get an extra discount which is always a bonus. I have only stayed in London a couple of times, both of which were for theatre shows, due to the fact that the journey takes over two hours from Stratford Upon Avon on the train which can feel like a very long journey, but one of my best friends is moving there soon which I am very excited about! Each time I stay in London I make sure I read the hotel visitor reviews as website pictures can often show a very different place to what you'll actually experience when you arrive, and no-one likes those kind of surprises! Even if you are out and about enjoying everything London has to offer it's nice to come back to a lovely hotel room. So to help you with where to stay, I have put together a list of hotels depending on your budget, which can all be booked through booking.com. A boutique hotel which looks quite impressive from the outside and just as lovely on the inside. With a restaurant and a rooftop bar, they offer double and triple rooms all decorated in a modern style. It is not the situated right in the centre of London, being that the closest tube is Acton town but its super cheap. All rooms at the Lion and Key Hotel have an elegant and modern finish plus an added bonus of a marble shower. Situated outside of the centre of London in Leyton but this is perfect if you want to do a spot of shopping it is really close to the Westfield shopping centre. Tune hotels are a chain with hotels all around the world, in this hotel they offer basic rooms that are reasonably priced (even cheaper if you opt for a windowless room) and centrally located by the famous Brick lane and Spitalfields market,the location also benefits from great transport links via Liverpool street station. 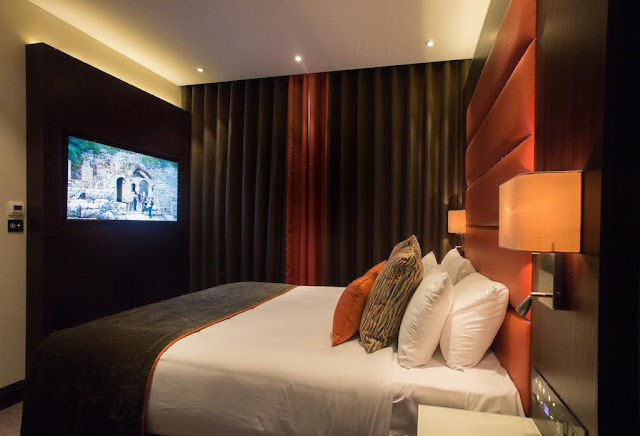 Situated in Kensington, this boutique apartment hotel was given a fresh refurbishment last year so the rooms look fab and it offers a variety of rooms including double, triple and family. There is even a fully equipped kitchenette if you don't want to go out for dinner. 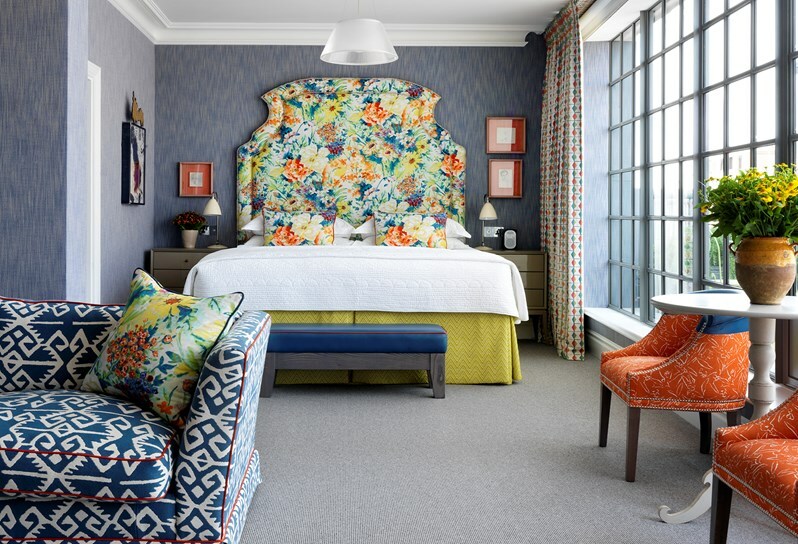 This gorgeous boutique hotel has individually designed bedrooms which are so instagrammable, just look at those prints! If you fancy a bite to eat head to their trendy restaurant and bar which also serves a classic afternoon tea. Facilities also include a spa for when you want to relax and rest your feet after a day of walking around London. 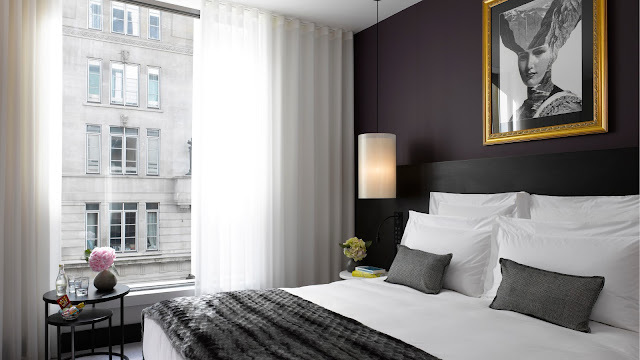 This five star hotel is located near Moorgate and is very modern with a splash of colour here and there. 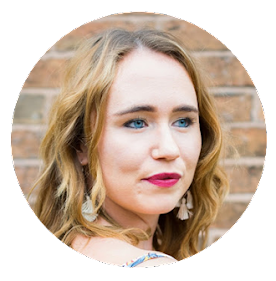 If luxury food is what your after they have a Michelin-starred restaurant plus a rooftop terrace and a secret garden bar that leaves me wanting to know more. 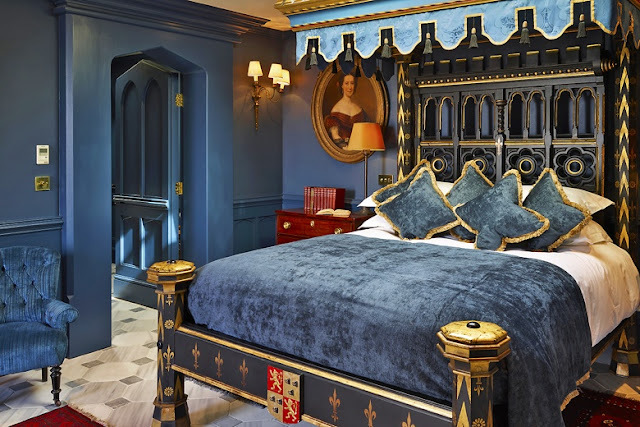 If you're looking for something more traditional or just want to feel like you've stepped back in time this hotel would be an ideal place to stay as it has; four poster beds, free standing bathtubs and LOTS of period features (even though it was built in 2015). 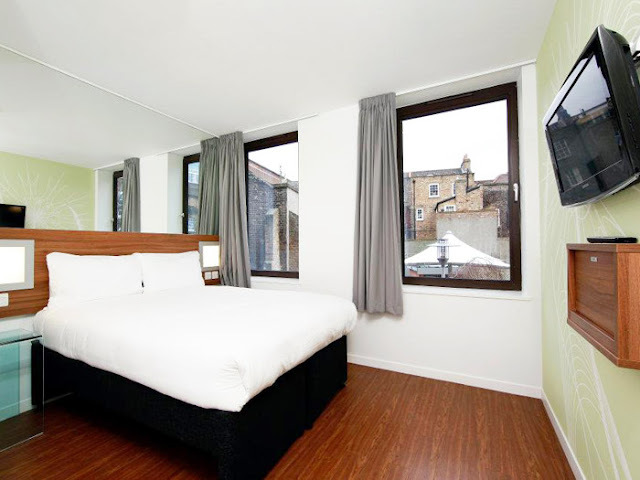 This hotel is situated a short walk from Liverpool Street tube station. Based in one of London's smaller neighbourhoods Pimlico, the artist residence London is a smaller hotel with a Scandinavian "hygge" feel about it. A 5 minute walk from Victoria station the hotel includes a cocktail bar and restaurant. What hotels have you stayed at in London? I love hotels and how different they are with how they use their room space.